“I am a good boy, from a good family,” says young Agu (newcomer Abraham Attah), about the simple life he once knew with his parents, brothers, and sister. But being good is not the measure of survival when you live in a country embroiled in a brutal civil war. 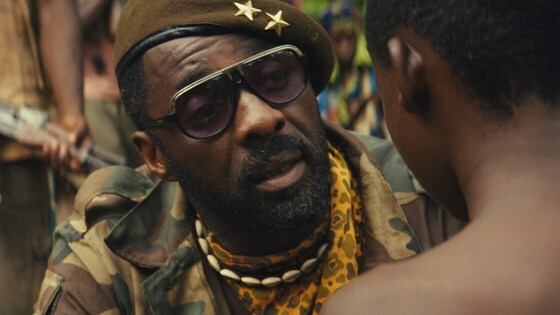 After militants raid his West African village, tear apart his family, and kill his father, he is forced to join a group of rebel fighters led by a ruthless warlord known only as Commandant (a fearsome Idris Elba), who takes Agu as his “charge.” Agu becomes part of his battalion of jungle-based child soldiers—armed with machine guns and grenade launchers—where fresh trauma is easily manipulated into murderous rage. 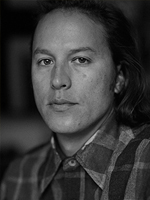 Told from Agu’s pre-adolescent point of view, writer/director Cary Fukunaga’s (True Detective, Season 1, Sin Nombre) adaptation of Uzodinma Iweala's 2005 book of the same name is a powerful marker of just how easily violence breeds violence.